At Chiselhurst we foster a “culture of respect” – respect for ourselves, each other and respect and care for the environment. Our approach considers each child’s strengths and recognises and respects individual styles of learning and teaching. We also respect the fact that each child that comes to Chiselhurst is not a “blank slate" but are “complex persons who arrive already connected to families, communities, and cultures - environments where they have done an awful lot of learning before they set foot through the door" (Christakis,E. 2016, The Importance of Being Little). Chiselhurst promotes learning, caring relationships and positive self-concept. We also encourage children to consider and maintain the world they live in, including the beautiful Chiselhurst environment that has been created for their playful learning and discovery. Every child deserves a magical beginning. A beginning that upholds the spirit of childhood and the magic of this glorious time. A beginning that respects and nurtures their natural heart and inherent curiosity and desire to learn. A beginning that is secure and loving and gives them time and encouragement to awaken their wonderful potential and ignite a love of learning and of life. To this end we put the child at the very centre of their learning and design everything to support them best. We honour the natural spirit of childhood. While as educators we guide and facilitate the learning, our approach acknowledges that children are competent and capable learners and as such we encourage them to direct and influence the curriculum. Here learning is a collaborative act, where children and adults are all participants, learners and co-creators in the learning process. Our environments provide a context for, and shape, children's individual and group ideas and achievements. Over the course of the year our rooms become full with displays of unique creations and ideas. It is their place. Research unequivocally shows the importance of play as the foundation for young children's understanding and development. Play is the essence of childhood and critical to learning. At this age children’s minds are focused on action and interaction. Play based learning opportunities facilitate child-initiated investigation and foster social development among peers. This is where the brain develops. Children need to be active, curious, engaged learners. “The mere act of discovery and developing sense of mastery over one’s environment provides pleasure. Play allows children to explore their physical world, to understand themselves in relationships they are building with key people in their widening world. Play causes the brain’s energy to be used in a different way - because the pleasure it brings causes repetition, play reinforces healthy wiring. When a child has made a connection through playing and experimenting, and has a chance to repeat that experience, connections are strengthened and future learning takes less effort". (Jill Stamm, PhD, Author “Bright from the Start”. We maintain a child-centred environment that nurtures their natural desire to explore and discover. 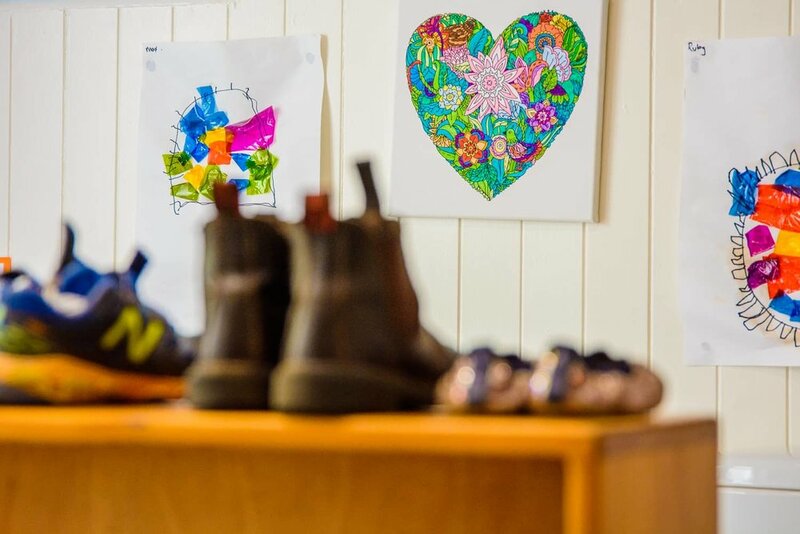 Our rooms and gardens are filled with an extensive range of experiences that children can choose from, and areas to stimulate imagination and creativity. With the guidance of our educators, we give children endless opportunities to engage in spontaneous, purposeful activities. At Chiselhurst we seek to offer enriching, sensory environments that inspire experiential learning. Everyday is an invitation to play...and grow! Chiselhurst continues to maintain a small kindergarten community. We have a limit of 4 kindergarten groups of no more than 22 young children in each. This approach allows us to provide a close, family environment. For some children this is their first experience outside the family home. They say that repetition is the mother of all learning. And as Jill Stamm (PhD), Author of “Bright from the Start” confirms, repetitive activity results in patterned neural activity that changes the brain. But she also states that the reason we keep repeating something is pleasure. From the very first day at Chiselhurst, your child will be introduced to fun routines and traditions that not only help them develop a sense of familiarity and ownership but also help them prepare for the formal structure of the school environment. This may include writing their name, putting their lunch box in the fridge, becoming responsible for a classroom job and singing a morning song. The list is endless! As a community kindergarten we endeavour to develop a strong, family spirit and encourage families to be active participants in their child's journey and the kindergarten itself. We all have a role to play in the success of our children and the health of our communities. There are numerous ways you can participate whilst your child is enrolled at Chiselhurst. The management committee is elected from the parent body and we must have the involvement of families to operate. Not only do you assist Chiselhurst but you have a greater understanding of what happens at Chiselhurst. All families become financial members of our Kindergarten Association by paying an annual membership fee with Term One fees. 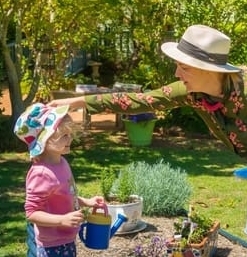 Aside from the management committee, there are many opportunities for you to make a positive contribution to the kindy and your child's experience. Whether it be helping with the library, working in the garden, planning social events, reading to the children, helping with projects in your child's room or bringing in resources for our collage trolleys for the children to use – every contribution is equally valuable! We also engage with local community groups and businesses to enhance our curriculum and the learning experiences for our children. Local businesses are great fundraising supporters of our kindergarten which we are so appreciative of. Our approach acknowledges our belief that the natural environment is a most wonderful teacher. At Chiselhurst we allow children to get into nature, explore the natural world and get dirty - in sunshine and rain, and in all seasons! We support the unfolding of the whole being through nature-related activities and use Chiselhurst's unique gardens to nurture their natural desire to explore nature. This approach allows children to understand and appreciate their relationship with the earth. The Chiselhurst team always keeps families informed about their child/ren's experiences and learning at Chiselhurst. For every child a portfolio is created. This portfolio is a visual journey of a child's learning through the year. We also take the time to regularly discuss with families their child's growth socially, emotionally and intellectually. At the end of the year we provide a Transition Statement. This document incorporates the perspective of the parents/guardians, children and educators to create a comprehensive picture of the child's strengths, abilities and interests. Each week you will receive an email from your child's educator to highlight the key activities and learning that children have engaged in for that week. At Chiselhurst we believe strongly children learn through enquiry-based learning - exploring, investigating, problem solving and negotiating and the best vehicle for this is play. Children do not learn in isolation. It is a collaborative process and we acknowledge the important role adults - educators and parents − other children and the physical environment play in children’s learning. The Council of Australian Governments developed the Early Learning Years Framework (EYLF). This allows educators in early childhood settings to extend and enrich children’s learning, provide opportunities for children to develop a foundation for learning and for children to become successful learners. It is a guide which consists of Principles, Practices and 5 main Learning Outcomes along with each of their sub outcomes, based on identity, community, wellbeing, learning and communicating. Fundamental to the framework is a view of children’s lives as characterised by ‘Belonging, Being and Becoming’. The Queensland Kindergarten Learning Guideline (QKLG) was developed by the Queensland Curriculum Assessment Authority to enrich children's learning in the kindergarten year. The guideline recognises that parents and carers are children's first educators and values the vital role parents, carers and family members play in children's lives and their ongoing learning. The QKLG supports kindergarten teachers to deliver quality, consistent programs throughout Queensland. It provides specific advice for kindergarten teachers to interact with children; plan, monitor and assess learning; and share information with parents and carers about their child’s learning. The guideline promotes continuity of learning and supports children to move into the first year of school.